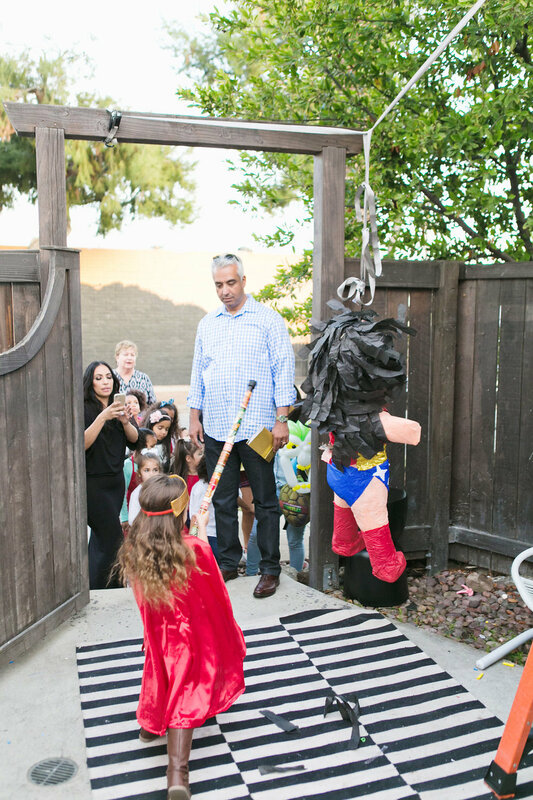 Wonder Woman was spotted in Alhambra! Did you see her? She has wavy brown hair, a shiny red cape, a gold lasso, a spunky attitude...and she's about 3 feet tall. When she's not saving the world she goes by Frankie Beau and she's the apple of her daddy's eye and the pot of gold at the end of her mommy's rainbow. 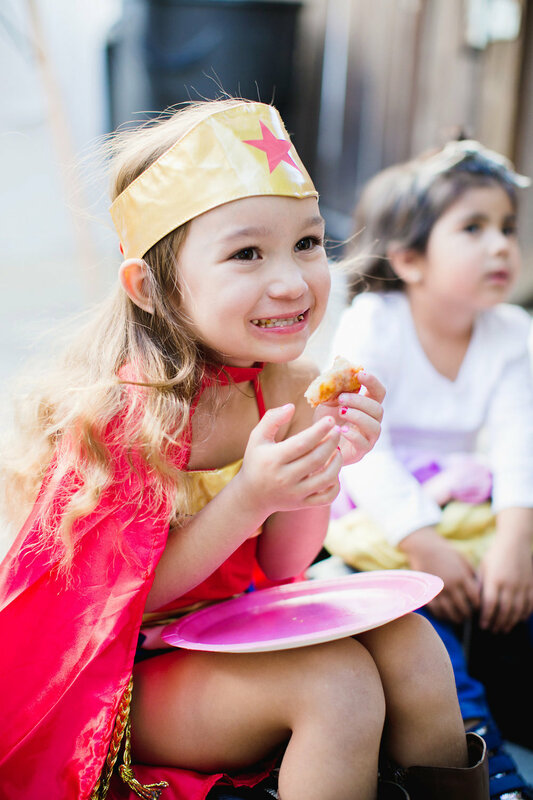 She also just turned four years old and celebrated the only way a true Super Hero could...with a Wonder Woman Superhero Ice Cream Party! 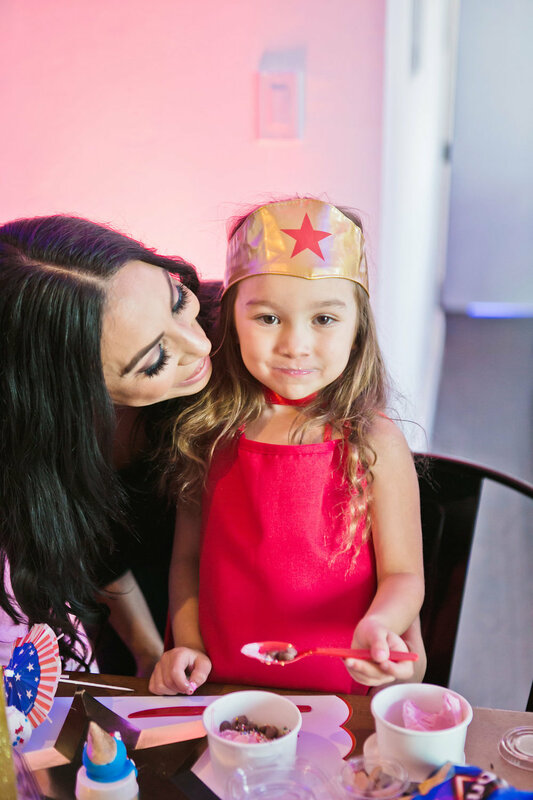 Frankie is the precocious and adorable daughter of our own Loriann and Herick Serna and she just turned four. 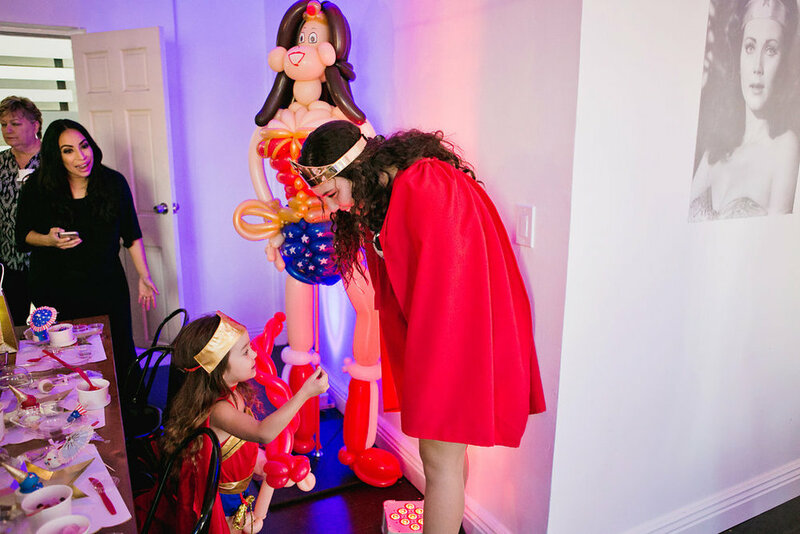 Frankie doesn't just love the idea of Wonder Woman. Oh no. She really believes she IS Wonder Woman. On any given weekend you might just find Frankie casually walking the streets of Old Town Pasadena in full Wonder Woman attire. Don't ask to touch her lasso though...that's for Supers and for catching bad guys only. 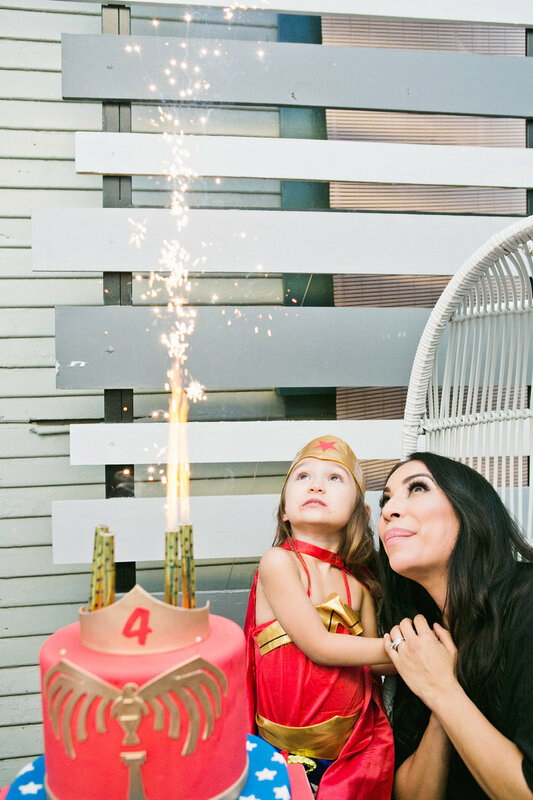 When it came time to plan Frankie's fourth birthday Loriann wanted to bring it back to basics for her sweet superhero. She called upon some of her own squad of superhereos, her Party Posse, to help her out. The party took place in her new office space and they immediately got to work setting the stage for Frankie's 4th Meltdown. 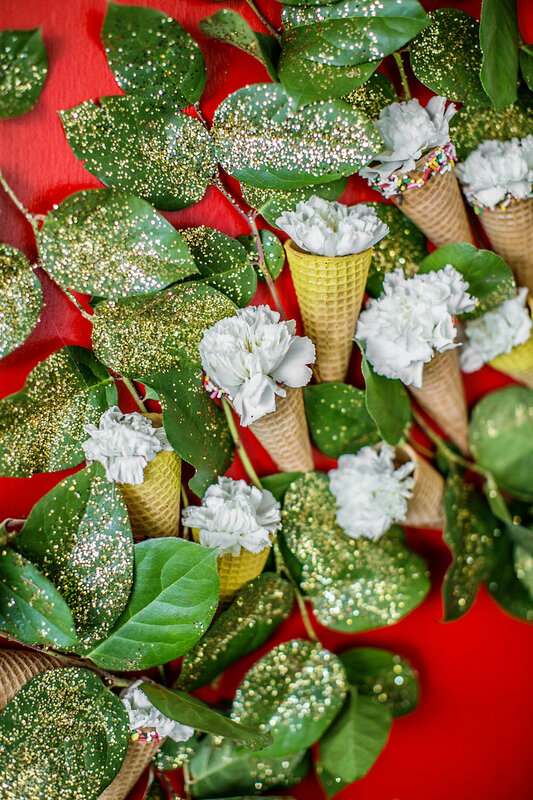 Real ice cream cones filled with flowers and gold glittered leaves decorated the wall. 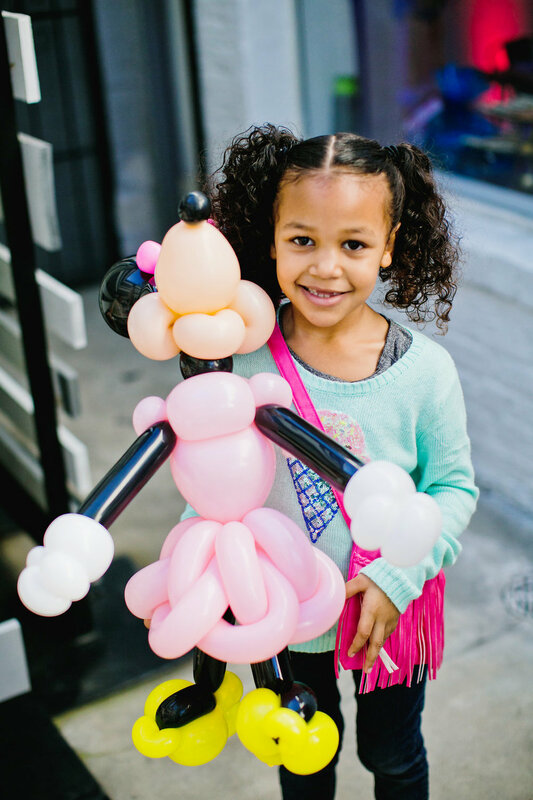 Guests enjoyed pizza outside while balloon artist, Ballusionist, created amazing works of balloon art for the kids. Waiting so very patiently for her turn. Every guest got a darling ice cream cake pop from Maskipops by Adri. These cookies are everything! 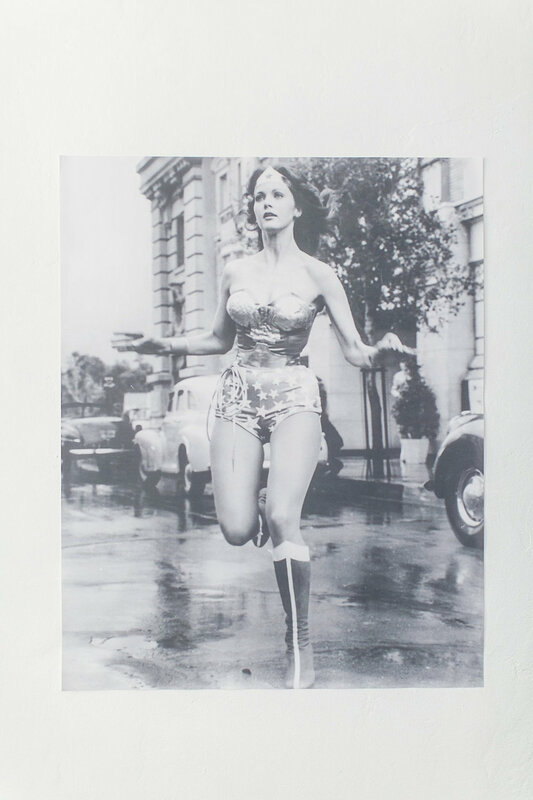 The picture of Lynda Carter served as the inspiration for the theme of Frankie's 4th Meltdown. 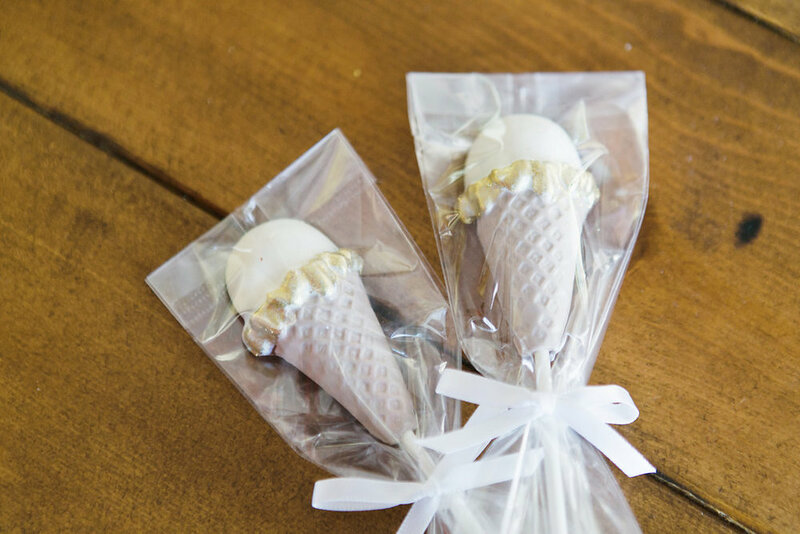 Chocolate ice cream cones from Rosebud Chocolates made the perfect party favors. 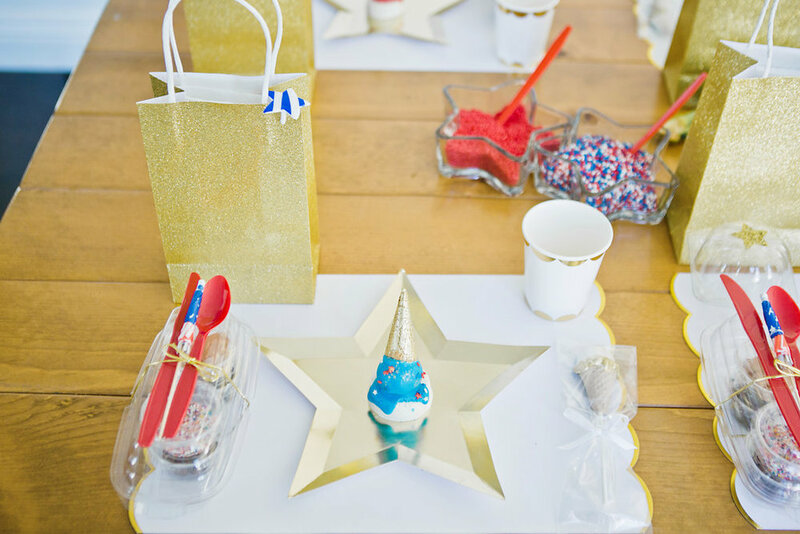 These gold star plates from Shop Sweet Lulu really made a statement on the table. The best part was that other than the glass star dishes everything was disposable which made clean up really easy. To go containers make clean up a breeze. Gold edible spray added an extra bit of sparkle to the ice cream cones and really made them pop. We love seeing our guests having so much fun in our photobooths! "Are you really here for my party?!" That is some serious determination. 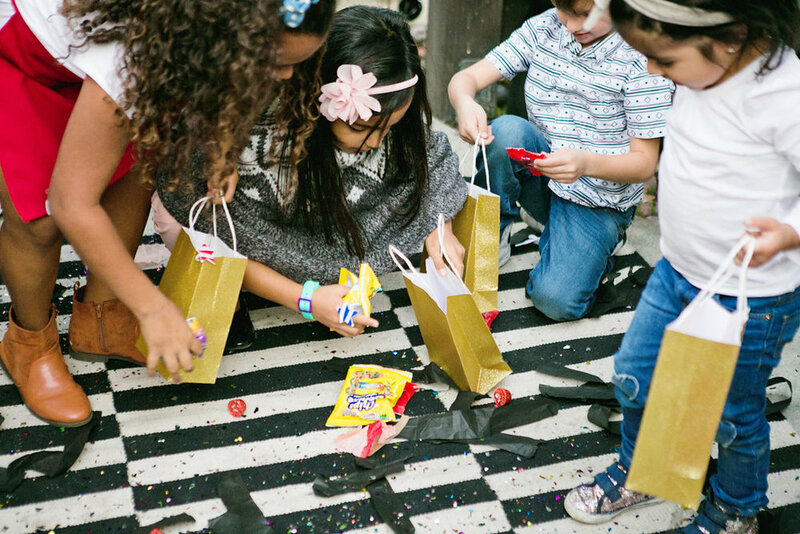 Pinata goodies and glitter for everyone! 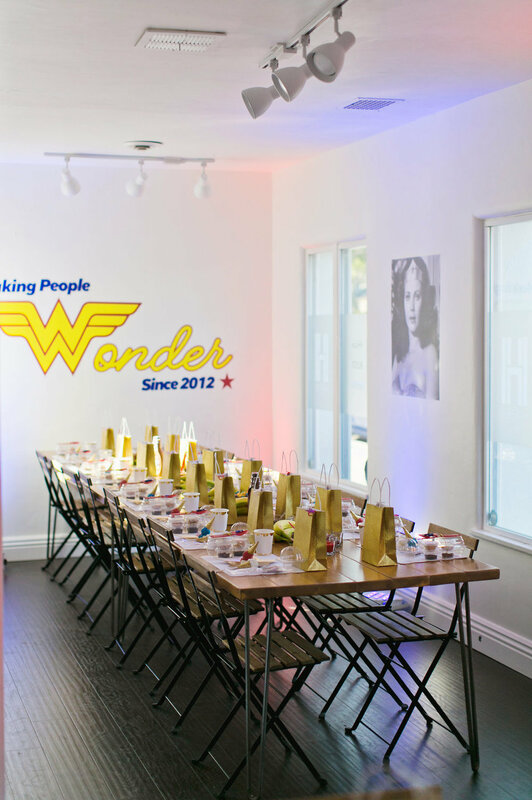 Fantasty Frostings did an incredible job capturing the spirit of Wonder Woman with this cake. That is one happy Wonder Woman! The bigger the wish the higher the spark! After a long day of partying ever Supers need snuggles with their mamas.